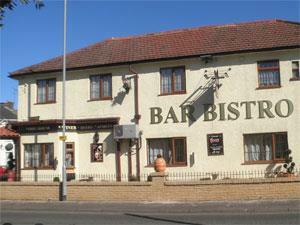 Bar Bistro & Chicken Barbecue01493 285807work Restaurant - PortugueseBar Bistro & Chicken Barbecue, Great Yarmouth, is a superb Portuguese bar & grill where you can enjoy a delicious hot meal, or treat yourself to a tasty snack or pastry from the patisserie & bakery. Savour the Portuguese flavour and atmosphere of this delightful eatery. Bar Bistro & Chicken Barbecue, Great Yarmouth, is a superb Portuguese bar & grill where you can enjoy a delicious hot meal, or treat yourself to a tasty snack or pastry from the patisserie & bakery. Eat in or takeaway with seating area outside. Please check times over festive period/public holidays. Meals from £5.95 to takeaway and £6.95 to eat in. On arrival in Great Yarmouth follow signs for the Town Centre. Bar Bistro & Chicken Barbecue is located on the corner of Crown Road at its junction with Nelson Road Central, just opposite St George's Park. Parking can be found close by.